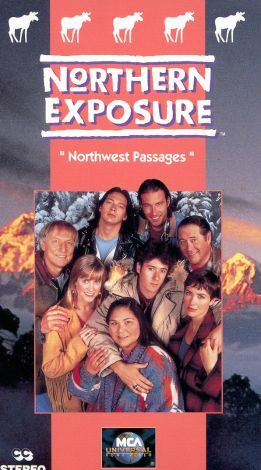 Northern Exposure was an unusually intelligent and witty hour-long comedy-drama set in a fictional Alaskan town that is filled with a quirky ensemble of residents. In this memorable episode, independent-minded but neurotic pilot Maggie O'Connell, who seems to be romantically cursed to have all of her lovers each die in a bizarre way, is freaked out about her upcoming 30th birthday. Her dead lovers weigh heavily upon her mind and she decides that the best way to deal with it is to head out into the wilderness and celebrate with a ritual. Meanwhile, back in town, laid-back, taciturn Marilyn, the Native American receptionist of Dr. Fleischman, wants to learn to drive. Loquacious, pseudo-intellectual deejay Chris decides to teach her, while pompous town autocrat and former astronaut Maurice drives everyone crazy trying to write his memoirs. Displaced New Yorker Doctor Fleischman gets involved when he figures out that part of the reason that Maggie has been so upset has to do with an appendicitis. Sure enough, out in the wilderness, she succumbs, and in her delirium has a strange picnic with all her dead amores, including Rick who died when a satellite fell upon his head.